You may cancel at any time during your 14 day trial and only pay $1. After that your subscription will auto-renew at the price you chose above. 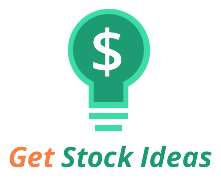 Canceling is easy, just email us at ideas@getstockideas.com. More experienced traders can set their own parameters, like 5 minute price movement, unusaul volume and many other params. Newer traders can enable "momo alert only" to go on auto-pilot. Our system analyzes the many stocks that are held in popular ETFs and outputs actionable ETF trades for simple 1-2 day holds. Signals for 5-10% profit goals. Set at night. No need to sit in front of a computer screen all day! A day traders dream. Get the jump of stocks that have just popped in price and volume with our Momentum Trade notifications via your desktop or phone.